June 17, 2016 3:10 pm. 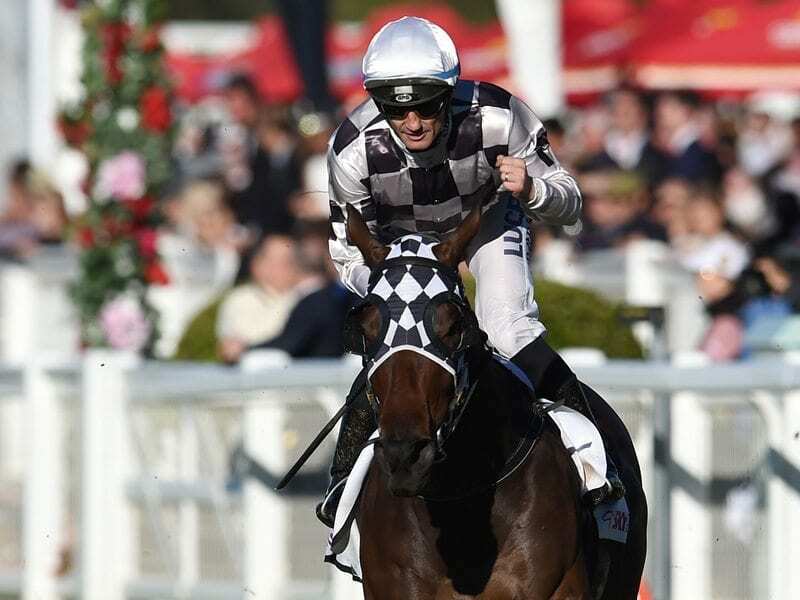 THE Tatts Tiara is a race for fillies and mares only and it runs at Group 1 level. The $500,000 sprint (1400m) usually takes place at Eagle Farm in late June and closes the curtains on the Queensland Winter Carnival. The race has been won by some quality thoroughbreds which includes Srikandi in 2015 which won the Stradbroke/Tiara double in a memorable season. Red Tracer broke its group 1 duck when it won in 2012 and we haven’t mentioned the good horses that haven’t been able to win. Beaded, Streama and Lumosty are just a few beaten runners. In recent years there has been a good mix of favourites and long-priced horses win. The Tatts Tiara isn’t one of the most high-profile races in Australia, but it adds massive stud value for the fillies and mares towards the end of the season and punters love betting into the market. All of our recommended bookmakers offer markets for the Group 1 Tatts Tiara. Markets go up at least a month in advance of the race date. Take a look at our favoured bookmakers below. Champagne Cuddles ($4.20 at Ladbrokes) is the early favourite in the 2018 Tatts Tiara after a strong performance in the Kingsford-Smith Cup. Moss Trip ($5.50) is the only other runner heading into the Tiara in single figures while Alizee and Daysee Doom are locked on the next line of betting at the $10 quote. Miss Cover Girl won the 2016 Tatts Tiara at big odds. In the last 30 years, only seven favourites have won the Tatts Tiara. Those included Srikandi, Cosmic Endeavour, Melito, Absolut Glam, Porto Roca, Bonanova and Razor Blade. The 2015 and 2014 running’s were both won by favourites, but there hasn’t been any short-priced winners in recent history. Srikandi paid $3.20 to win and Cosmic Endeavour paid $5 in a wide-open affair. Russeting was the highest-priced winner in recent history when it won the 2009 edition at odds of $21. Yosei and Pear Tart both won in consecutive years paying $15 which boosted the average price of horses that have won at double figures to $14.50. The worst performance from a favourite was Gold Edition ($2.90) which finished a disappointing 15th. Beaded ran as the $1.90 favourite in 2011, but was upset by Yosei. Jockeys to follow are Michael Rodd who has won the race twice from five starts. Nash Rawiller has an identical record as Rodd and they are the only jockeys to have won the Tatts Tiara on multiple occasions. In the trainers ranks, Gerald Ryan and Danny O’Brien have won the race twice. Chris Waller is usually a man to follow, but the champion trainer has won the race only once from nine starts with no placings. Tycoon Tara scored the second consecutive winner that paid over $20 in the Tatts. The Snowden-trained mare went under the radar as most of the money came for third placegetter In Her Time, but it was the well-performed Tycoon Tara which won the Tiara. Read the race report. Miss Cover Girl scored an upset at big odds to win for trainer Kelly Schweida. 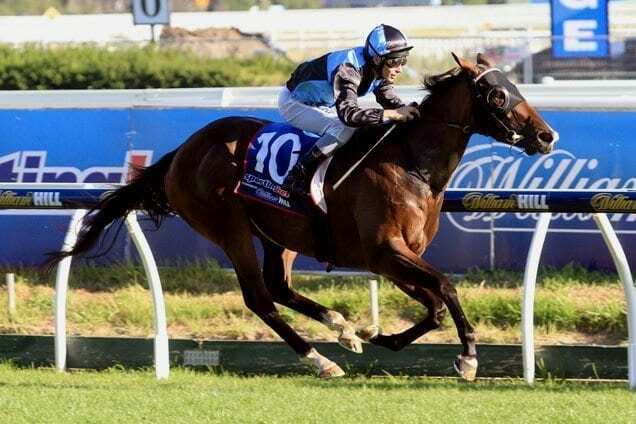 The talented type was considered only an each way chance by punters, but the Tatt’s Tiara often throws in the upset and that was on form in 2016 when the filly saluted at $21. Srikandi was far too good for rivals in 2015 and gave trainer Ciaron Maher another big win that season. Like many winners in Brisbane, it jumped well and crossed to the lead. It put a length on the likes Avoid Lightning and Lumosty and held that margin to the line. Among the beaten brigade was Peron and Catkins which competed at high levels throughout its career. The 2015 edition was held at the Gold Coast due to Eagle Farm’s track renovations. Gai Waterhouse lined up her first winner in this race with Cosmic Endeavour. The three-year-old had been running solid races throughout its campaign and it narrowly held off Angel Of Mercy to score by a long neck. Tommy Berry rode and he’s one of the best sprinting jockeys in the world. The light weight of 55.5kg helped it against the higher-weighted runners. Red Tracer finally broke through for its long-awaiting group 1 win. The Chris Waller-trained drew barrier 16 and sat deep throughout the run, but its class was too good for its rivals. It recorded an easy 2.3-length win over the likes of Streama and the win was one of the best in Tiara history. Pear Tart was purchased for only $45,000 at the sales and proved to be a great value buy for Patinack Farm. The filly settled close to the pace and kicked hard to the line, holding off Skyerush and Gai’s Choice in a tight finish. It drew barrier 14 which demonstrated that barrier draws don’t matter too much in this race. Michelle Payne scored one of her biggest career wins in 2011 when Yosei upset hot-favourite Beaded. It draw barrier 1 and Payne waited for a run along the inside before weaving between runners. There wasn’t much form in behind it, but take nothing away from the special win.